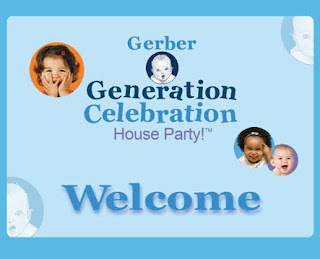 We had our Gerber Baby HouseParty Sat and it was soo cool!! The cereal treats were tested by all (even the 13yr old lol) and every was surprised that it was good, not too hard or squishy either. The yogurt blends were fought over - everyone wanted to try and loved them! *The HouseParty Favorite! The organics were a surprising treat - I've never done organic with Amber when she was growing up. It wasn't huge back then as it is now. They weren't bad - the kids seemed to like them. And its a great alternative - I know a lot of moms who have to have organic only foods. I loved having this HouseParty - Can't wait to have more!! Keep an eye out! Enter to Win Up to $1,000 on Blogger Challenge Sweepstakes! Breakstone’s, makers of all natural, triple churned sour cream, just launched Better with Breakstone’s for families to make the most of the holiday season! From party-pleasing recipes to organizational tips, Better with Breakstone’s is the ultimate resource for Moms this winter. The holiday destination features a Blogger Challenge where three food bloggers whip up their favorite family recipes with sour cream as the showcased ingredient! We need YOUR HELP voting for the best creations. Each time you vote, you’ll be entered for a chance to win up to $1,000! Better with Breakstone’s is the brand new destination for all things seasonal. Print free coupons, check out party planning tips, discover new recipes, and watch featured videos to learn how to incorporate sour cream into your favorite holiday classics. Bet you didn’t know it’s perfect for keeping cakes and pastries wonderfully moist and fluffy – your relatives will never believe it! To get in the spirit of sharing, three bloggers were asked to incorporate sour cream into their families tried-and-true classic holiday recipes. This season, Amanda’s Cookin’, My Baking Addiction, and Iowa Girl Eats took the challenge. Read each blogger’s bio to learn a little bit more about their skills, then check out the menus they’ve come up with and vote for your favorite. When you vote, you’ll be automatically entered for a chance to win BIG! Breakstone's brand is produced by Kraft Foods Incorporated. Breakstone's products include sour cream and cottage cheese, and are sold in the eastern, southeastern and midwestern United States. In the western United States, the products are sold under the brand name of Knudsen. The Blogger Challenge Sweepstakes is sponsored by Meredith Corporation, not Breakstone’s. We all want our children to grow up to be compassionate adults who want to help others. That's why we're always on the lookout for good ways to encourage character and development. Our good friends at Primrose Schools, the leader in educational childcare, recommend that parents make an effort to introduce volunteerism at a young age. That's why Dr. Mary Zurn, Vice President of Education for Primrose, is offering parents the four easy steps outlined below to start their children on a path to meaningful volunteerism. Step 1: Clarify your personal goals and motives for wanting to include your child in volunteer activities. Volunteering is a wonderful way to a share your values with your child. Pick a cause that is meaningful to you and your family rather than one that is simply convenient. Step 2: Explain the importance of volunteerism and the contribution volunteers can make. A child's favorite question is "why?" Keep your answers simple and concrete. For example, if you are going to volunteer at the food bank, tell your child that "The food bank has lots of food for people who need it, and it will be our job to sort the food so that people are able to find what they need." Participate in "clean the park" activities. Be sure to have your child wear gloves. Take recyclables to recycling collection centers. Act as a companion to the elderly in retirement or assisted living homes. Simply listening to their stories and relieving their loneliness provides multiple benefits for the senior citizen and your child. Participate in local races and walks that raise money for a charitable cause that you think is important; most races have a shorter race for children. Sort food at a food bank. Be sure to confirm that children are welcome to volunteer and that it will be a safe environment. Does the organization have experience with and a history of successfully working with children and families? Will the organization provide me with a reference from another family who has volunteered with them? Will the organization staff welcome my child's participation? Is there a specific job that my child can do successfully? Who will show my children what to do? Are there special clothes or supplies needed for my child to volunteer with this organization? Does the organization conduct appropriate background screenings on its staff? Does the organization have insurance if there is an accident while your family is volunteering? Can the organization provide a concrete example that will help your child understand how his or her efforts benefit others? 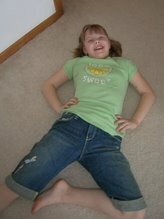 To find these and other great tips for parents, check out Dr. Zurn's blog at DrZandme.com. For more information on Primrose Schools, visit www.primroseschools.com. You can also check them out on Facebook and Twitter! "Disclosure: I was entered for a chance to win a gift card in exchange for this post. No monetary exchange took place." 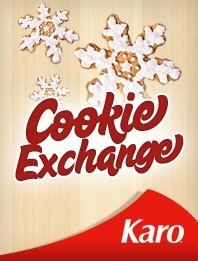 Karo - Cookie Exchange Application on Facebook! The holidays are a time for whipping up treasured recipes to share with our friends and family and indulging in all of our favorite confections. One treat is so synonymous with the happiest time of the year that it's even on Santa's wishlist! Whether you bond with your family over a batch of gingerbread men or gift all of your goodies, cookies are the sweetest way to ring in the season. 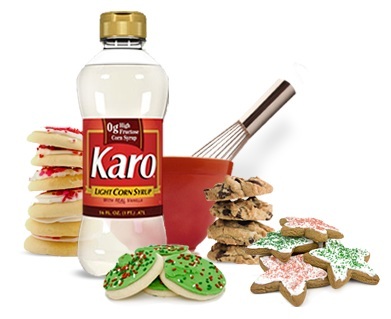 Our friends at Karo® know how much effort we put into our cookies. That's why they're giving baking enthusiasts everywhere the chance to share their best cookie and cookie bar recipes with their new Cookie Exchange Application on Facebook. The app allows you to submit your own recipe, let your friends know you've entered and vote and comment on your favorites. By participating, you create a "living cookbook" to encourage baking and cookie exchanging all year long. Plus, you could win amazing prizes from Cadco, KitchenAid®, Williams-Sonoma, Vollrath® and CookieCutter.com! Melt wax/bark and chocolate on med heat until smooth with a double boiler. Dip balls in chocolate. Cool on wax paper. HINT! I have done both…. Use toothpick to tip balls into chocolate mix. OR I use a skewer and another skewer to get it off lol. Then at the end I put just a little bit of chocolate on the top to cover the hole that was made. The batch makes 200 good size ones or 400 small ones. "Disclosure: I was entered for a chance to win an ACH prize package in exchange for this post. No monetary exchange took place." I just received my holiday showcase and I wanted to share it with you before all the moms come over and peek themselves! 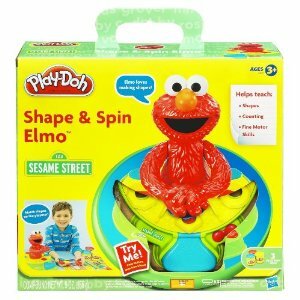 MomSelect sent us Play-Doh Shape and Spin Elmo, Play-Doh Mega Fun Factory, Sneaky 3D Puzzle from Patch Products, The NEW Smallfrys from BuildaBear, Playmobils Child's First Day at School Kit - take a look below for ideas for the holidays season! Discovering is fun with PLAY-DOH compound and Sesame Street! Elmo has two fun play modes. In mode 1, Elmo helps your child identify shapes and then counts them as your child makes them. In mode 2, Elmo prompts your child to make various shapes. Together, they'll have lots of fun creating PLAY-DOH triangles, circles and more. 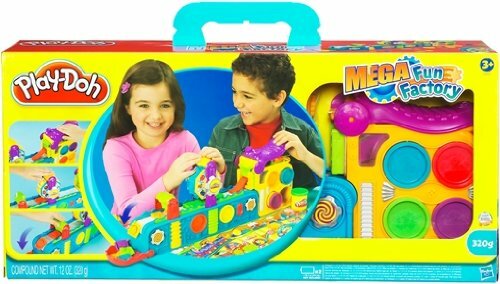 Keep it moving and keep the fun coming with this awesome moving MEGA FUN FACTORY conveyor belt set! 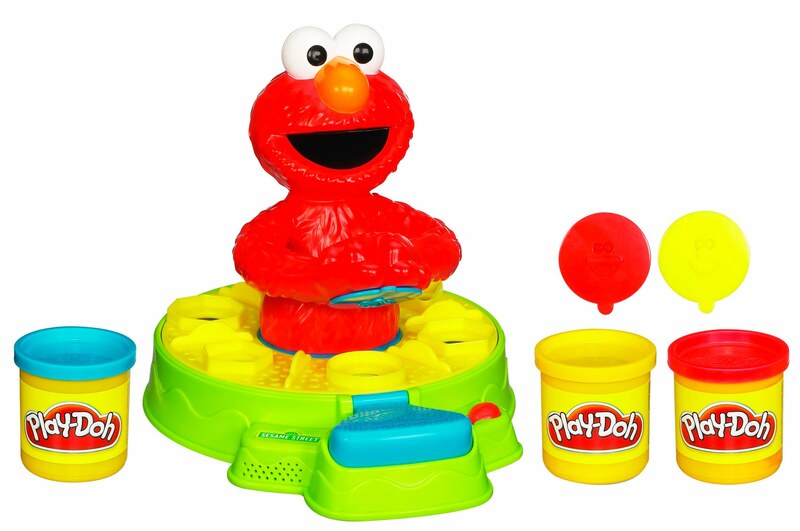 Load your PLAY-DOH compound in one end and turn on your conveyor belt to stamp out pretend toys or food from one of the two gear molds. 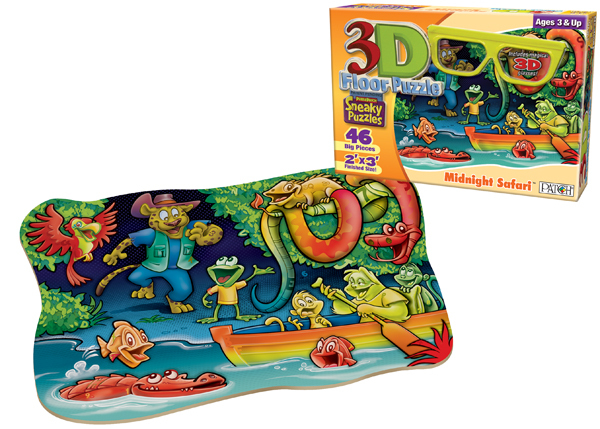 Keep your conveyor belt running and you can stamp out tons and tons of fun creations -- it's non-stop imaginative action! 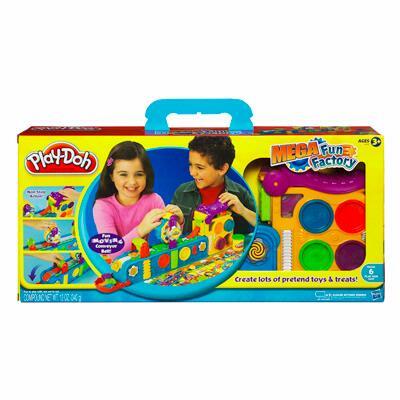 Plus, when you're ready to "shut down" the "factory" for the day, you can even store up to six cans of PLAY-DOH modeling compound right in the set so they're all ready for the next time you turn it on. MEGA FUN FACTORY conveyor belt set comes with two gears with 15+ molds, playmat and four three-ounce cans of PLAY-DOH modeling compound.Requires 2 "C" batteries (not included). Ages 3 and up. The limited edition collection includes eight pre-stuffed animals which are smaller versions of past and present Build-A-Bear Workshop favorite furry friends. They come packaged complete with their very own “nutritional friendship information” on back. Although they are small, each build-a-bear smallfrys furry friend has big personality. Some accessoires for the little frys are: Plaid Shirt and Tie Jean set, Hoodie and Jean set, Fuchsia Ruffle Leggings set, Pink Dot Dress, Peace Pajamas, Blue Fairy outfit and more. Big build-a-bear smallfrys fun is also available at buildabearville.com ®, the company’s virtual world. Each of these furry friends comes with a code to receive free gifts at buildabearville.com. When Guests redeem their code online, they receive a virtual accessory bag themed to carry their build-a-bear smallfrys friend and a doll house style furniture item. When Guests click on the item, it opens up to a new smaller room, the perfect size for a build-a-bear smallfrys virtual furry friend. 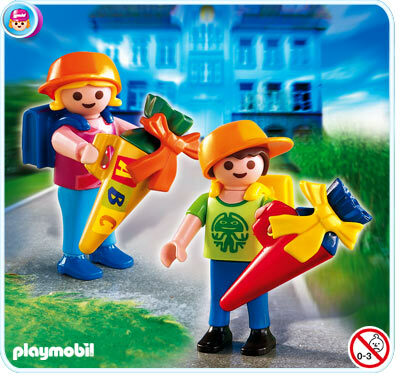 And lastly Playmobils Child's First Day at School Kit - do you remember the cones our moms made for us, for our first day of school, with tons of goodies inside (ok I might be dating myself here lol) but it was a tradition when I was VERY young that the parents did this for our First Day of School - Retails for $3.29 Cute stocking stuffer! I hoped you loved looking at the showcase and came up with some new ideas for christmas! One more thing to leave you with - if you having a holiday party - MomSelect gave me a great recipe for the kids and adults too! Pour the mixture (more like spoon it lol) into 12 cupcake liners and let it sit for 30 mins. Note: all opinions are my own, all products were given free to review. I was excited to review this new daiper bag! As soon as I heard that you could 'clic-it' and add accessories. I remember having a bulky bag, with a nursery theme on it (they didn't have 'cool' bags back then) and you dug for years to find the wipes, daiper, nippy... anything! I was given the diaper bag, the organizer pouch and the bottle holder - And who wants this thing?? My daughter and my husband - he thought it was just a cool bag. 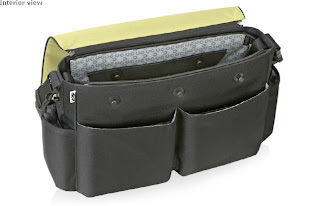 So its definitely dad approved and he can use it without being caught out with a 'mom bag'. What I loved is the long strap. 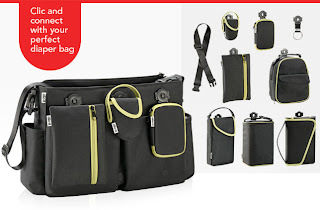 What I was suprised to find is the the bags top zips off if you want it too, so that you could hang it over a stroller and not be having to flip the top bag, its just open and ready for you. See all the clip areas inside and outside the bag and you can see the colorful top has its own zipper. Tons of room inside, tons of 'clic-its' to add on things and find them easily. Now you can go to the Clic-It website and see more items they carry. This is a mom, dad and kid approved bag!! DON'T FORGET!! Clic-It is kicking off the “Gearing Up for Baby” contest from November 15 – December 24. Log onto www.clicitbag.com for details on how to enter for a chance to win a prize pack including a new Clic-It diaper bag and accessory assortment (retail value: $117.00). Join them online - “like” Clic-It on Facebook as well ! !